Whitetail DeerDoes Passing Gas on the Treestand Scare the Deer Away? Does Passing Gas on the Treestand Scare the Deer Away? The question might seem like a juvenile one, except plenty of hunters are asking it. Can passing gas on the treestand blow up a promising deer hunt? Why would one write such a story — passing gas on the treestand? Aren’t deer hunters looking for substance, strategy and hunting tactics that will help them be better hunters and woodsmen? Well, here’s the rub. All anyone has to do is creep on the internet to find out what’s really on the minds of deer hunters, and you'll find more than one forum where guys and girls are discussing the consequences of farting while hunting. Check here, here and here. Evidently, deer hunters are fraught with gastrointestinal issues and nervous stomachs that sometimes tend to look for a release right at the moment of truth, when a hunter is mere beats away from pulling the trigger on a once unsuspecting target. One darling man replied to this woman's inquiry with the useless sentiment that this incident was simply another, “perfect example (of) why women belong in the kitchen.” But, as you might imagine, the issue isn’t limited to hunters of the female persuasion, although it was a woman who was behind this next hunter's fatal, hunt-ending flatulence. “I’m sitting in a ground blind last night, and can’t stop farting. My wife made this AWESOME butternut squash chili a few days ago, and I’ve been having some like every day. It's so good I can't help it. Anyway, it's like every 1/2 hour to 15 minutes at least, and it stinks in the blind. Am I just wasting my time hunting at this point? I mean, if I can smell it so strongly, a deer would be overpowered I would think. The answers offered to the Minnesota hunter by those in the forum were largely dismissive or not very helpful. One guys suggested, “play the wind so you can let it rip whenever you want.” Another said something to the effect that he should hunt near a cow pasture with lots of cow patties to mask his own stink and thereby marginalizing the effects of the favored butternut squash chili. 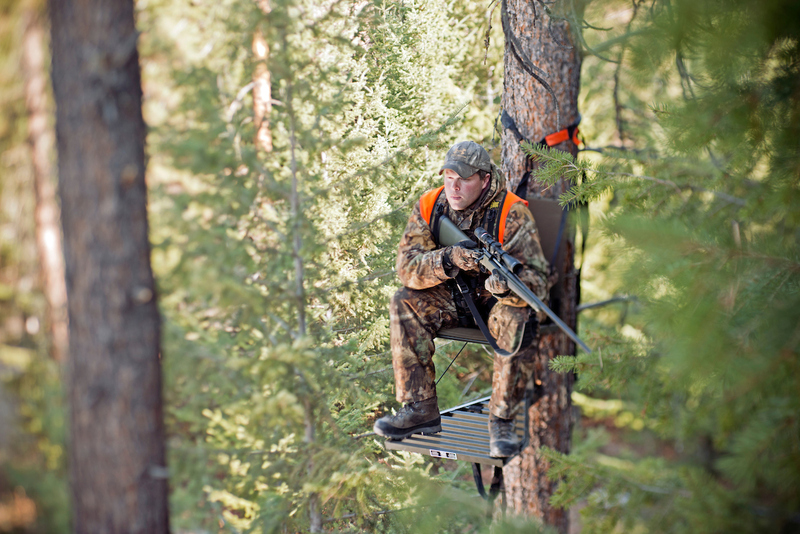 Farting on the Treestand: Does it Matter? For those looking for helpful answers laced with a degree of seriousness, there’s substance out there. First, it stands to reason that passing gas on the treestand could disrupt a hunt for the sole reason that deer have such an exceptional sense of smell. In an article about the superiority of a deer’s nose featured in Whitetail Journal and written by wildlife biologist Dr. Dave Samuel, he writes, "you name the odor and a deer has a group of cells located in one tiny region of the nose that can smell that odor." The Whitetail Journal article also cites the number of olfactory scent receptors a deer has, allowing for its super sense of smell. “While we don’t know the number of olfaction genes a deer has, we do know the number of olfactory scent receptors. In an offbeat article exploring whether or not deer can smell a hunter’s farts, deer are reported to have 297 million scent receptors. In comparison, humans have 5 million and dogs have 220 million. So the answer to whether or not flatulence in the woods can ruin a deer hunt likely hinges on whether or not the deer is familiar with the smell of human flatulence and if he has associated that smell with an negative event. Now, the sound of a fart is a different story. Whether or not a deer will bolt in response to the sound of a fart depends on how the individual fart itself sounds and how loud or high pitched the fart is. Never a group to lack ingenuity, this deer hunter represents the clever inventiveness of hunters well. He might be onto something good. And strategic. It's the no-cost grunt call each of us is naturally equipped with. A primal lure, if you will. Now that you know the dangers of passing gas on the treestand, you might check out this list of snacks to avoid while on the treestand.